The cosy, welcoming ambience in the Rueduhus restaurant is, together with its cuisine, a real taste of Swiss tradition: even with all the refinements and creativity it remains simple, natural and true to tradition. 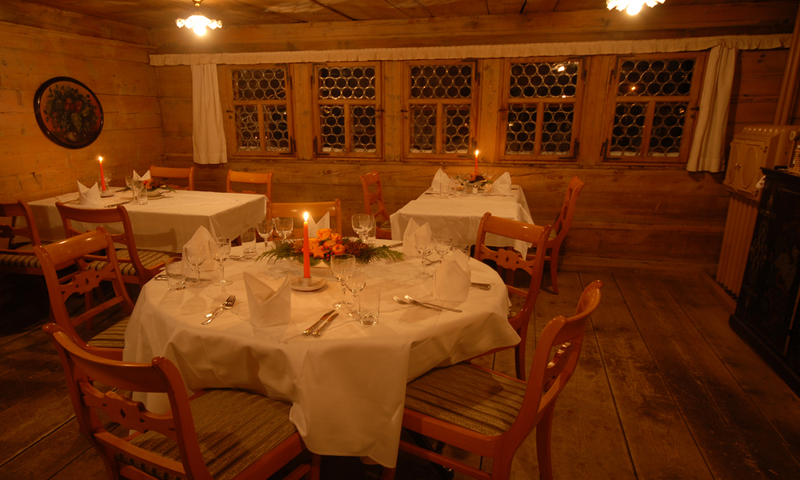 In the Egger- and Stettler-parlours you will be treated to the Ruedihus menu of traditional Swiss dishes from the Bernese Oberland. How about trying the marinated pot-roast known as “Suure Mocke” or our specially cured farmhouse ham – “Schnifu Büürehamme”. Typically Swiss! In the wine parlour of the country guest house Ruedihus the cheese dishes will delight any cheese fan. Both Raclette and Fondue are served in an extra special ambience.